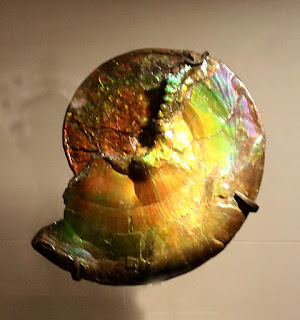 This ammonite fossil was on display at the American Museum of Natural History (AMNH) in New York city in July 2018. The ammonite fossil is named Placenticeras intercalare. It was found in the Bearpaw Formation, Lethbridge, Alberta, Canada and dates to the Cretaceous Period (75 million years ago). Accession number is Fl-56701. Donated by Korite International and Canada Fossils Ltd. 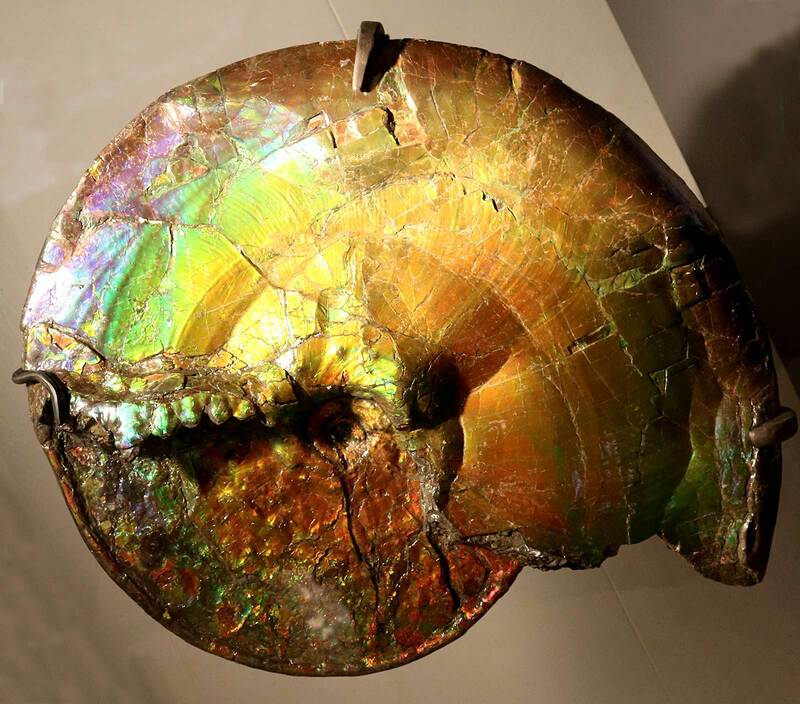 The ammonite fossil shell is now iridescent caused by being exposed to high pressures and temperatures. The marine creature existed in the Western Interior Seaway that covered the middle of what is now the North American continent. The seaway existed from about 75-65 million years ago.